Investing in residential property has well and truly lost it’s shine in 2018, especially in the state of Victoria and New Zealand. 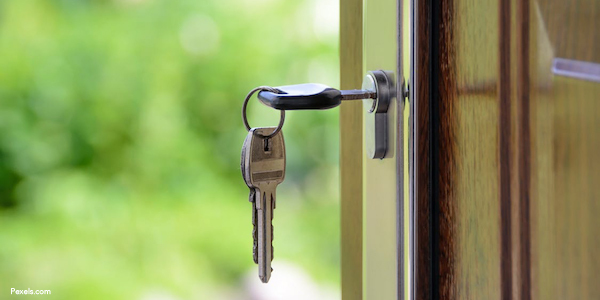 In the UK, Landlords are more philosophical about changes to tenancy laws. A recent survey suggested around half are actually positive about Land-lording even with the obvious challenges ahead namely Brexit and the political climate. As aforementioned, can not be said down-under where landlords feel they’re wrongly in the line of sight of politicians for political gain and thus the law changes are not balanced and swing too far in tenants favour. So the question is would you be a new Landlord in 2018? Hindsight is a wonderful thing as the saying goes, and many property investors who have been in the property investment industry for some time still love it and already do well by the tenants which really is just commonsense. However going in now with your eyes wide open and in the knowledge of the recent law changes, increases in everything from insurances to rates and the talk of tougher times ahead – is property investing a good move? For long term investment – why not? Speculative property investing (though it’s hardly investing) has always been cyclical and when it’s grouped under ‘property investing’ it gives long term buy and hold Landlords a bad name. Speculators will come and go as the property market moves through it’s cycle and their activity is considered a business and incurs Capital Gains Tax. Long term buy and hold investors know it’s always been about the numbers and making sure they add up and there is some fat left in for the unexpected expenses. However the constant politicising and changing of the rules to suit political agendas is disruptive and it’s hard not to think there’s a conspiracy against Landlords and it’s not just in Victoria our New Zealand, it’s more far reaching and this must be putting off would be investors which will be problematic since private landlords supply most of the rental stock. The UK Landlords must be made of tougher stuff though as 64 percent say they’ll carry on regardless, keeping their rental properties, focusing on the potential of long term profit. The idiom “soldier on” holds firm on the land of the white cliffs of Dover. Back down under the confidence is not so high among the local property investors. It’s one thing after another and there’s been a lot of change thrown at Landlords in recent months. The bright line test, LVR rules, and more recently revision of the bright line test to five years and legislation around the quality of the properties. Insulation, heating, moisture extraction, you name it New Zealand rental properties are getting a hammering from Government. But none more threatening than what might come from the Tax Working Group headed by Sir Michael Cullen. There’s a lot on the table aimed at raising the tax grab, including Capital Gains Tax and more recently talk of a Property Value Income Tax. If you screwing up your eyes at this one, you’re not alone. It’s creative for sure, and if implemented, it’s likely to be the tipping point for Landlords unsure if they’ll ‘soldier on’ or sell up and run for the hills. What’s most perplexing Landlords, is why the sole focus on them and not a balanced effort to improve both the conditions of the suppliers of rental properties i.e. the landlords and it’s inhabitants, the tenants. Surely the relationship is symbiotic and thus both are needed, now that ever before with homelessness increasing and home affordability out of reach for first home buyers everywhere you look. Here are some great discussions on various topics affecting the viability of landlording today in New Zealand.